Rajiva who has been playing Mercantile Table Tennis since 1979 will be celebrating (35) years as a player this year. A career spanning 35 years unbroken demonstrates the determination, discipline and dedication towards the sport. He first represented Ceylon Tobacco Company from 1979 to 1995 and captain the team which won the league and knock out tournaments. Thereafter he joined Ceylinco and participated at Mercantile tournaments from 1996 to 2011. He captain the Ceylinco team which won the league and knock out tournaments. In 2012 Rajiva represented MAS Intimates team with won both the league and knock out tournaments. 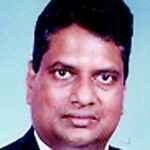 Rajiva was the president of the Table Tennis Association of Sri Lanka (TTASL) from 2007 to 2009. Currently he is a member of the selection committee and has been a selector for the last Ten (10) years. He is the only Sri Lankan masters player to win an individual medal at the World Masters Games in Table Tennis. He also represents Sri Lanka masters in Athletics. Rajiva masters double international has won (25) Twenty Five medals for Sri Lanka. He is also a vice president of the Veterans Table Tennis Association of Sri Lanka (VTTASL) since 2002. He won the veterans national singles title in 2002 & also won a triple crown at the Veterans Table Tennis Championships in 2006. Vice Presidents: M.R. Jabir, Anton Silva, Priyantha Fernando. Treasurer: Susantha Nugawela. Asst. Treasurer: W.G.G. Prabath. Exco: Nirmala Jayasinghe, W.P. Boteju, Sajith Niroshan.